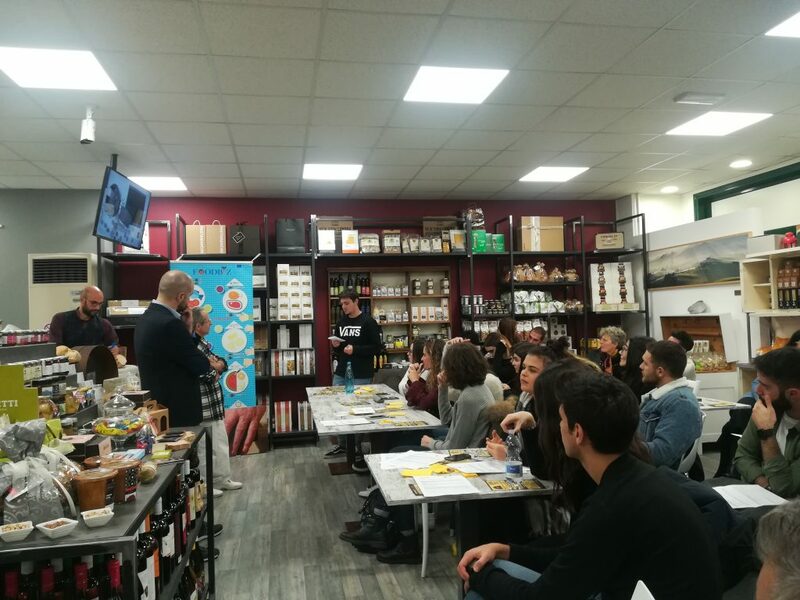 The #Foodbiz event was organized within the course “Economics and marketing of agrifood” of the University of Macerata implemented in the first semester of the academic year 2018-2019, thus starting in October and ending in December. Before the beginning of the course, a questionnaire aimed at understanding the level of awareness of the students about the labour market, and their most preferred methods of learning had been administered. 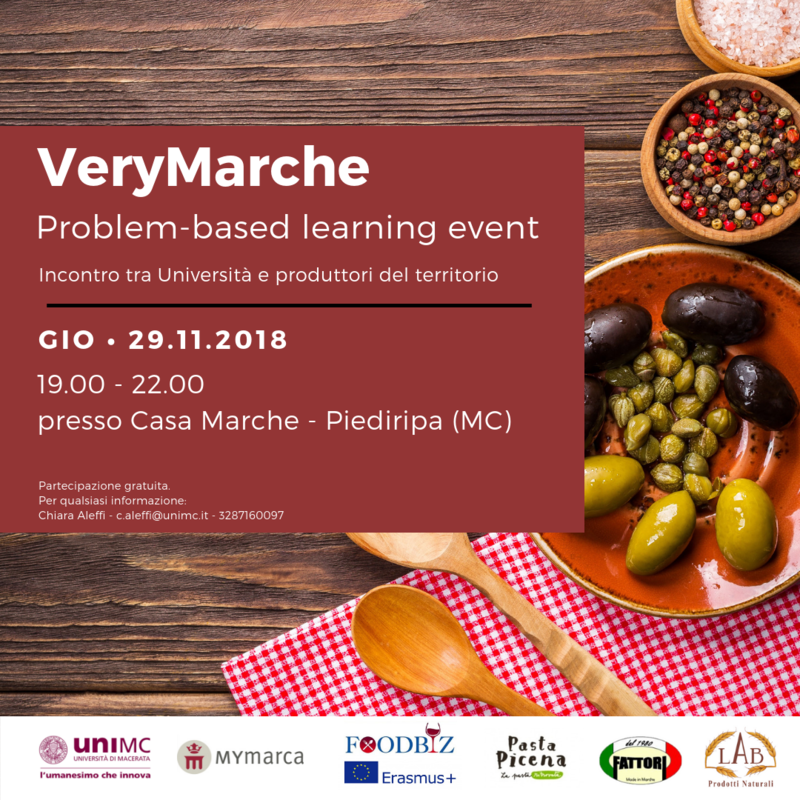 On the basis of results, and taking into account insights collected from the agrifood sector’s employers also in the first VeryMarche workshop, educational activities have been organised in order to alternate theoretical classes and seminars to practical, problem-based activities. 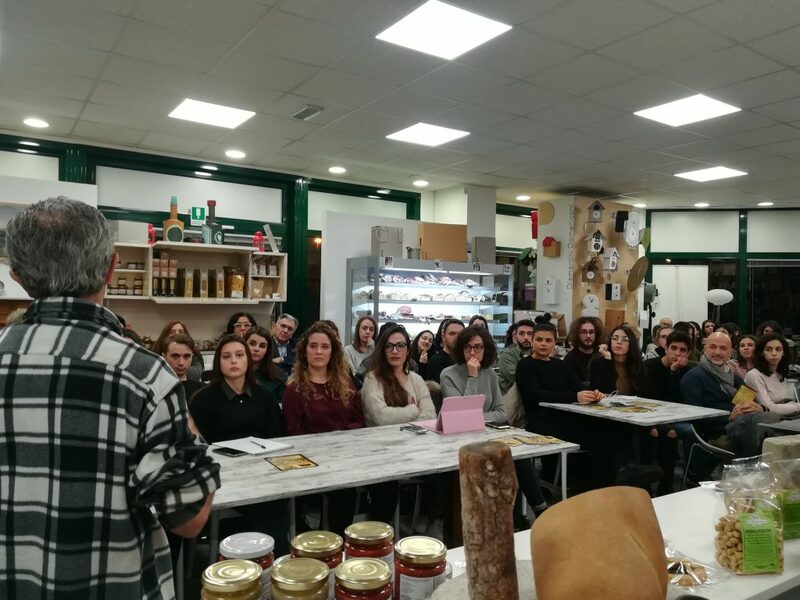 Students were required to formulate potential solutions to the “problems” of the agrifood sector, particularly focused in communication and branding, in the Region where the university is located: the work was carried out in groups, and implied a collection of field data. Most of the field data, while students are invited to collect further information autonomously, were provided by means of several workshops organised for the purpose. Students were very active and engaged when included into a process with the community: to the other hand and so far, both taking into account the process and the workshop itself, small producers tended to be very supportive and open minded with students, by accepting also criticisms and proposals: this element should be further exploited, as it creates links that can be useful for employability purposes. 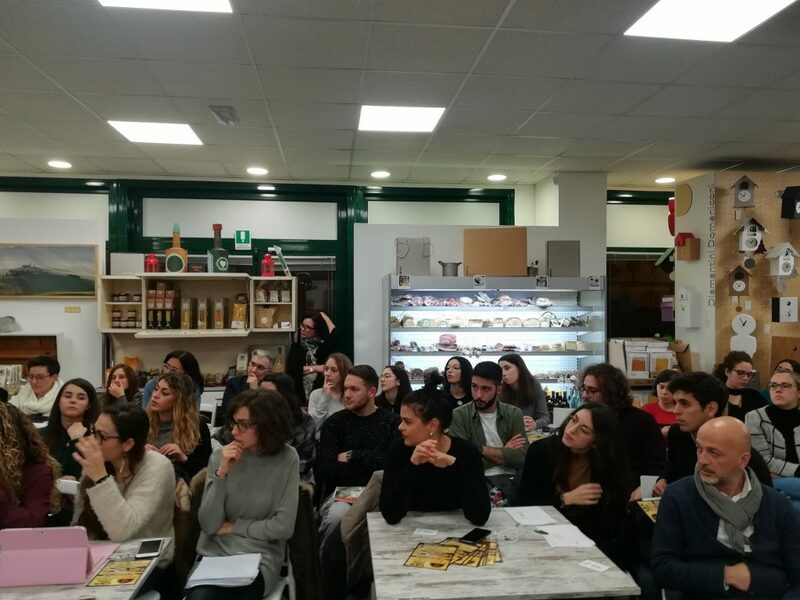 The workshop started at 19.00 and ended at 23.00, at MYmarca, with a slight delay according to the programme, due to the number of attendants (66 participants) and the active participation.